A very ancient breed of cat, the Persian was first mentioned in hieroglyphs beginning at approximately 1684 B.C. The Persians' beginnings have long been lost to time. The Persian was so named for their ostensible country of origin, the great ancient empire of Persia which was located in around the modern country of Iran. The first known Persian cats to arrive in Europe were brought by an Italian traveler, Pietro della Valle, in the 1600s. Persians became very popular throughout Europe. At the first modern cat show, held in 1871 in London at the Crystal Palace, Persians were a featured breed. The show at the Crystal Palace, and the others that followed served only to increase the popularity of this already very popular breed. Queen Victoria herself adored blue Persians. Persians are a wildly popular breed. They are, in fact, the most popular breed of cat on the planet. Their long flowing coats and sweet faces immediately endear them to so many people. Their personalities are gentle and affectionate. They are strong creatures of habit and are most comfortable in secure environments with regular routines, but with gentle support, they can adapt to a more lively environment if need be. Persians are soft-spoken cats with pleasant and melodious voices that many people enjoy. Their expressive eyes charm people of all ages. Persians are built long and low with sturdy short legs. They are not big jumpers but do enjoy lounging in their favorite strategic locations. They can often be found beautifully draped on a sunny windowsill posing for the sheer pleasure of it. Friendly cats, Persians will seek attention, but not demand it. Persians have long been a fixture in an artwork. Their great beauty has earned them frequent roles in commercial advertising and in movies. Persians need to be kept indoors, away from dirt and burrs that could knot up those beautiful coats. Daily combing is a must to prevent snarled fur and hairballs. Those huge beautiful eyes do tend to do a bit of tearing. 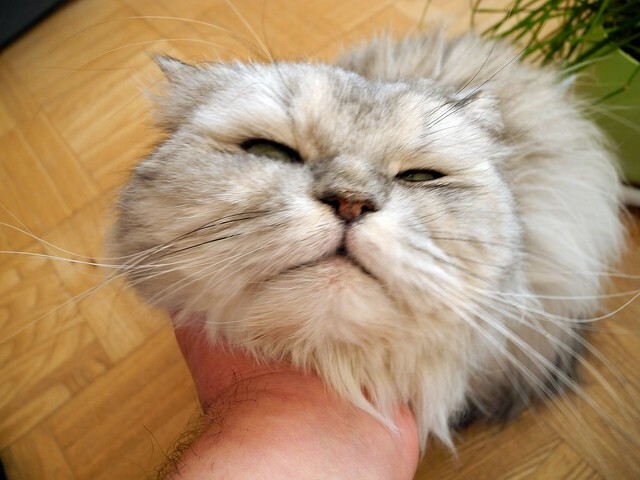 Washing a Persians' face daily will take care of tearing. A well-bred Persian can be hearty and healthy. When properly cared for, Persians can live to be 15 years old. The Persian is an extraordinarily beautiful breed and comes in an amazing variety of colors and patterns. The registry divides their colors into seven categories: solid color division, silver, and gold division, shaded and smoke division, tabby division, particolor division, bicolor division, and Himalayan division. Each color and pattern exquisitely beautiful. The Persian cat is an ancient breed whose winning ways continue to charm people to this day. They appear in a rainbow of colors and patterns, one of which is sure to catch your eye. Give the Persian cat a closer look. The Persian has long been a gentle, loving, loyal companion to many people over the years. This cat may be exactly what you are looking for in a new companion. Over the last thousands of years, cats have pretty much handled their breeding themselves. In the beginning, they were used for one purpose - hunting and killing rodents. As the years progressed, we began to breed cats more to our liking. Nowadays, there are several different breeds of cats - which you can tell if you look closely. 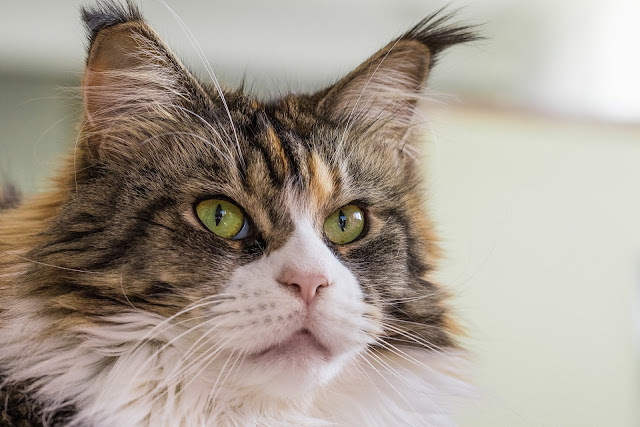 The more common cat breeds that are found in North America include the alley cat, long-haired cat, and Persian cat. Siamese cats are also common, although they are well known to be destructive and to have a foul temper. Persian cats are very popular, proving to be loving companions. Persian cats can be very expensive, depending on where you get it and what type of Persian cat it is. Alleycats are the most common in North America. There are actually several different breeds, although most of us just refer to them as alley cats. They make good pets, although there are literally thousands of them in existence. Cats are known to breed more than any other pet, and they will continue to breed until they are stopped. Alleycats are among the most bred, as there are hundreds of thousands of cats that are homeless - and have nothing to do but breed. The look of the cat is the easiest way to tell what breed he or she may be. Some people choose to go by color, although the color isn’t as easy to identify. Different breeds of cats have different looks, such as the Siamese and Persian cats. Siamese cats are almost always black, and easy to identify by their color and their eyes. Persian cats, on the other hand, are easily identified by their body type and their hair. Cornish Rex is a feline breed that was first reported in the mid of twentieth century in 'Cornwall' United Kingdom when a very unique looking kitten was seen in a domestic cat litter. This baby was a result of genetic mutation and displayed a singular appearance. It had no outer hair and a different body type than other cats. The striking appearance aroused interest and breeding of this felid was started in earnest. Earlier efforts were not quite successful and it took some time before healthy cats with consistent attributes were seen regularly in litters. During their development, Cornish Rex cats were outcrossed with Siamese to give them the elegant body form they currently possess. Today they enjoy widespread recognition in most parts of the world. Cornish Rex have one of the best personalities of all feline breeds. They are very active and energetic and continue their playful behavior throughout their lives. The author is a blogger about cats and an expert on Cornish Rex cats. The unusual look of the Munchkin cat does not in any way affect its confidence and outgoing nature. This cat breed loves wrestling with friends and playing just like any other ordinary cat save for the short legs that are unique to it. It has been dubbed as the magpie of cat species thanks to its habit of borrowing shiny small objects that it keeps away for later play. Besides the cat's playful nature, it does have hunter instinct and it will definitely chase up mice and any moving objects. It however, generally prefers snuggling more than it does hunting. The cats are suited for home environments and have become popular pets for cat lovers. General appearance - These cats come in different colors and they can have short or long hairs. All of the munchkins however, have miniature look and short legs. Their eyes are walnut shaped, round and big. They tend to maintain that kitten like appearance all through their lives, making them simply adorable especially by children. The coats - Munchkins which are shorthaired usually spot medium-plush coats whereas the long haired ones will usually come with semi-long silky coats. With this in mind, the cats do not require too much grooming Brushing your long haired cat twice a week and short haired cat once every week is enough to keep them looking good. The legs - Their short legs are the main identifying character. The short nature allows the cats to be extremely fast. The munchkins are amazing pouncers and sprinters but they do not jump as high as other breeds would. The hind legs seem to be longer than forelegs but even with the shortness they will jump on furniture and climb just like other cats. The body - This breed of cats is small to medium in terms of body size. Most fully grown cars will weigh between 5 pounds and 9 pounds. But even when they small bodies, they are muscular and stocky. They may have short legs but they have a very normal physique. The backs - Unlike short legged dogs which tend to suffer spinal issues, the munchkin cats do not develop any spinal problems even with their short stature. This is probably because a cat's spine is quite different from that of a dog. 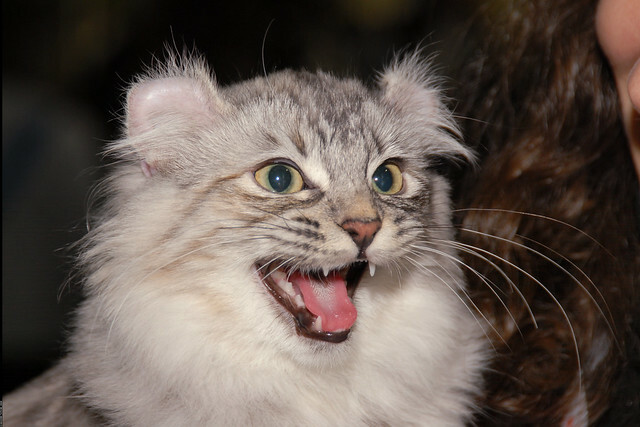 Cat temperaments - Munchkins are pretty active and will constantly be exploring the environment around them. They love socializing with both children and adults, and will not use their claws as often. They are patient, sweet and gentle and love to be cuddled and pet. Their loving gentle nature however puts them at risk with stray dogs and cats. It is best that they are kept indoors for safety purposes. Cat health - These cats generally live healthy, normal lives, especially considering that they do not develop any spine and hip issues. It is however still of importance to ensure that you get your cat from breeders with written health assurance. To maintain the overall good health, you should take measures to protect your cat from obesity issues; watch cat diet to help it maintain the appropriate weight. Munchkin cats are simply adorable and make amazing pets. 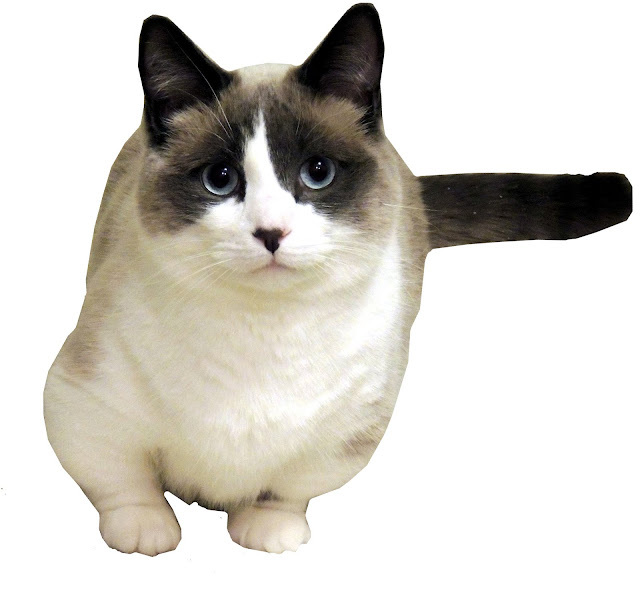 Choose munchkin cat breeders you can trust when getting your cat so you get a top quality breed. The origins of Ragdoll cats are full of myth and controversy. This cat’s history is often contradictory and confusing; some of the Ragdoll story is just not possible. Other parts we know to be factual. First things first: the Ragdoll cat breed started in California back in the 1960s. It was founded by a woman named Ann Baker. The very first cat of this breed was for all intensive purposes a regular cat named Josephine. Ann Baker noticed something special about Josephine and her offspring. She decided to breed for this characteristic. Ragdoll cats get their name from the fact that they go limp like a Ragdoll when held. Ann Baker went so far to trademark the term Ragdoll; anyone who bred Ragdoll cats had to pay her royalties to use the name. It is for this characteristic of the Ragdoll cat breed that Ann Baker made her unusual claims. Josephine was once hit by a car. On one account Ann Baker claimed she had taken the injured cat to a local University to have her patched up; she asked the University to give her cat new DNA and this is why Ragdoll cats came to be. 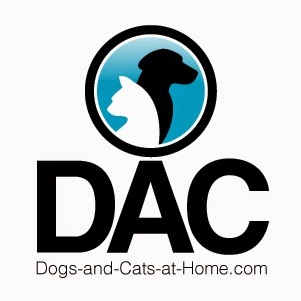 Another claim the breed's founder made was that Ragdoll cats feel no pain whatsoever. The reason she gave for this followed suite with her previous claims that the cats were genetically altered and that they were in fact, alien hybrids. Move over x-files, there have been alien-feline hybrids on earth since the 60s. Other claims made about this breed of cat are that they felt no fear, they are the ideal cat for people with cat allergies, and they do not have cat instincts due to the fact they are alien hybrids. When it comes to myths about Ragdoll cats, ragdoll history is truly stranger than fiction. To some people cats may all seem alike, despite differences in color or size. Certainly cats appear more similar than dogs, which range from the towering Great Dane to the tiny Chihuahua. But cats do have their own breeds within the species just like dogs, and each has its own unique characteristics. Imagine a cat that likes to swim, or one that's related to a tiger! Sounds unreal, but it isn't. Many domestic cats have been interbred with wild species to produce gorgeous and extremely intelligent pets. If you are thinking about a cat why not try one of these breeds? The Bengal breed originated when cat fanciers mixed a domestic cat with the Asian Leopard cat. The result was an extremely intelligent and beautiful pet. Bengals are often gray with striping or rosettes, and sometime have a gold dusting that looks like glitter. Bengals can mature at anywhere from 10-14 pounds, but some males reach larger sizes. Bengals are a very vocal cat, and will chirrup at things that interest them, and yowl when they want something. They also defy the idea that cats hate water. Bengals love water and some will even swim. Like a dog a Bengal will chase his tail, fetch for you, and walk on a leash. The Chausie is a result of mixing a domestic cat and the wild jungle cat (Felix chaus). Chausies are also known as "stone cougars" because their solid light brown hide and head shape are reminiscent of a cougar. These cats are also larger than their fellow domestic cats, getting up to twenty-five pounds in some cases. Like Bengals, Chausies are very intelligent and like to play and walk on leashes. Chausies must be at least four generations removed from their wild ancestors to be legally owned, and some cities have restrictions beyond that. Check with your local government to make sure a Chausie (or a Bengal) would be legal and welcome in your town. Imagine having a tiny tiger of your own! With the Toyger breed, it's now becoming possible. Toygers are actually the result of selective breeding of tabby cats; they have no wild stock in them. The reason the breed was developed was to create a domestic cat that resembled the wild tiger and would remind people about the plight of the great feline. Toygers are still being developed, but the choice members of the breed have dark pumpkin colored fur mixed with horizontal black stripes, just like a tiger! For the most part Toygers will act like other domestic cats. The Ocicat is another example of breeding domestic cats to achieve and aesthetic look like a wild cat, in this case the ocelot. Ocicats come in also shades, from silver to chocolate, but they all share the spotting that makes them look so like their wild cousins. Some say Ocicats look a lot like the Bengal. Unlike the Bengal however they do not have wild ancestors, and behave more like your regular domestic cat, albeit with a gorgeous coat! There are many other varieties of cats, some with long hair, some with no hair, and some with just enough. But whichever kind of cat you choose for a companion, remember that you are their guardian and provider. Good luck finding the exotic feline of your dreams! Puppies Long Island. 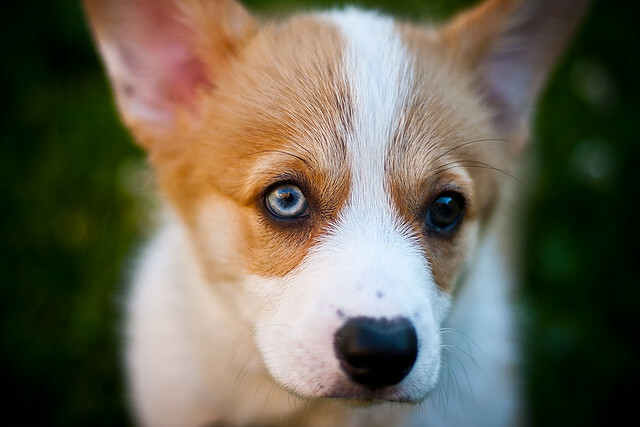 Visit Worldwide Puppies and Kittens in Bellmore, New York, or call them at 516-679-7880 for more information.